From Monday April 14th – Friday May 2nd 2014, the School of Art at Montana State University will host the 2014 BFA Thesis exhibition. On view will be the thesis works of 55 emerging artists graduating with their Bachelors’ degrees in Fine Art. A number of disciplines will be represented in the forms of drawing, painting, digital, video and electronic media, animation, graphic design, photography, ceramics, and sculpture. For BFA graduates, the thesis exhibition represents an important transition period from student to working artist. It marks an end to academically assigned work, but the beginning of their individual research and artistic maturity. The exhibited works synthesize the growth of each artist over their years spent at MSU. 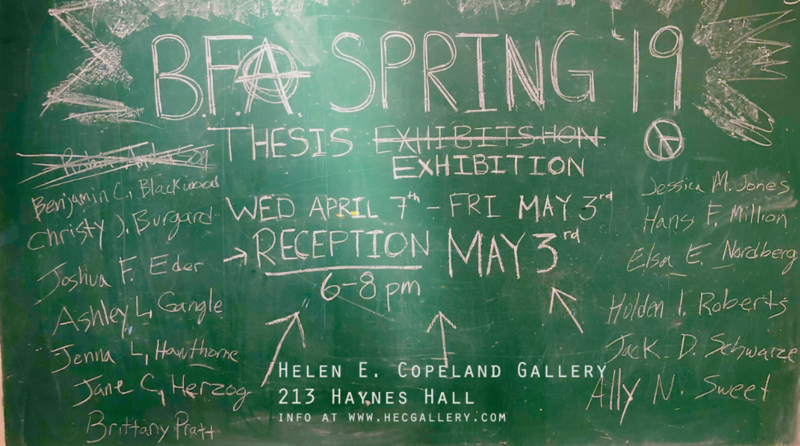 Two opening receptions for the 2014 BFA Thesis exhibition will be held. By invitation only, the City Night Reception will be held from 7 to 9 p.m. on Thursday, April 24th, 2014. An awards ceremony will precede the City Night reception, commencing at 6:00 pm on April 24th. 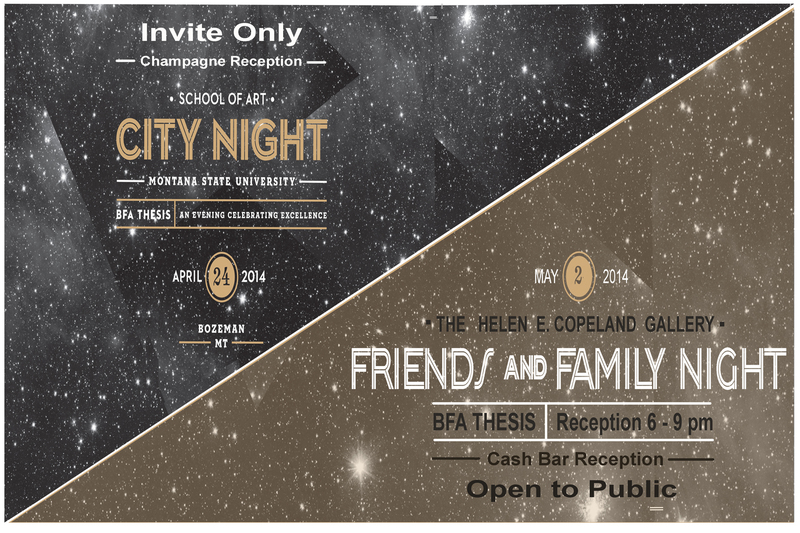 Free and open to the public the Friends and Family Night Reception will be held from 6-8 p.m. on Friday May 2nd in the Helen E. Copeland Gallery located on the second floor of the School of Art in Haynes Hall, Bozeman MT. Viewing hours are from 9 a.m. to 5 p.m., Monday April 14th – Friday May 2nd 2014.